This park, high on Coloane Peak (170m), is reached by the Estrada do Alto de Coloane which begins just south of Seac Pai Van Park. The road leads first to the parking area for the newly-developed Recreational Fishing Zone, the Arboretum (which features more than 100 species of local and exotic trees), and the main access to the Coloane Hiking Trail. It continues on to the top of the Peak where there is another car park, the new Alto de Coloane picnic area, and the statue of the Goddess A-Ma. 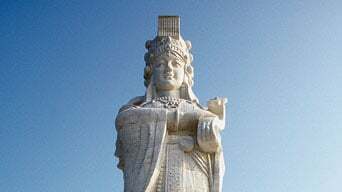 Visible from far out in the South China Sea, with a height of 19.99 metres (commemorating the year Macao once again became part of China), the statue crowns Coloane Peak. 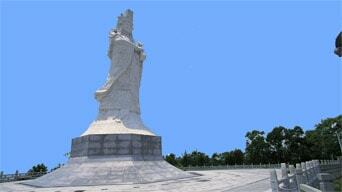 A-Ma is venerated by fishermen and sailors and therefore has always had a special significance in Macao.